Fine. 192 p. Intended for professional and scholarly audience. An apparently unread copy in perfect condition. Dust cover is intact; pages are clean and are not marred by notes or folds of any kind. At ThriftBooks, our motto is: Read More, Spend Less. Very Good. 192 p. Intended for professional and scholarly audience. 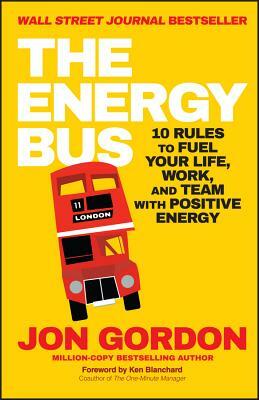 In the style of other bestselling business fables, The Energy Bus takes you on an enlightening and inspiring ride that reveals ten secrets for approaching life and work with the kind of positive, forward thinking that leads to true accomplishment--at work and at home. Very Good. jacket. Hardcover with DJ. The DJ has little to no wear. Boards and spine tight. Nice copy, with little to no wear. No apparent marks throughout this book. Tracking available on most domestic orders.